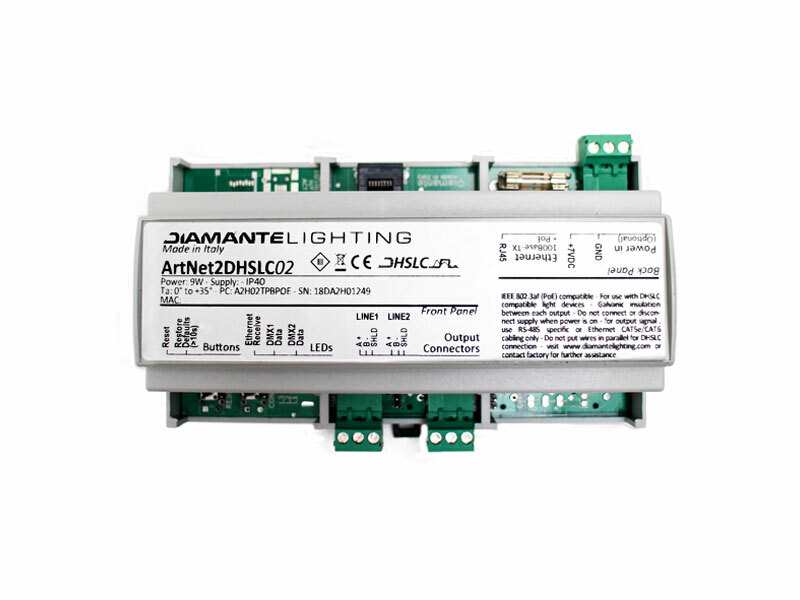 It is an ArtNet to DHSLC converter, with two outputs.On large scale setups, when multiple DHSLC lines are needed, it is useful to distribute data from the controller via standard Ethernet infrastructure; locally, ArtNet2DHSLC 2 devices transfer Ethernet data into DHSLC packets, to control colour changing devices and enabling all DHSLC features (high speed, self addressing). 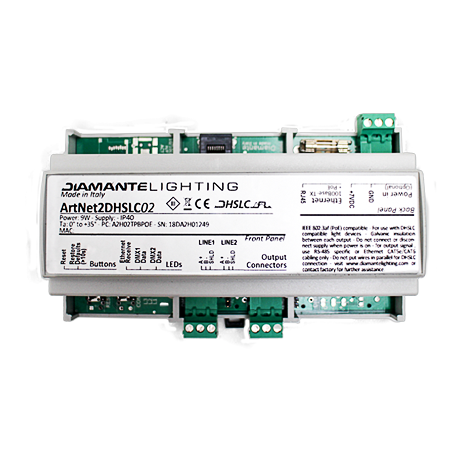 ArtNet2DMX02 is compatible with DHSLC products and with ArtNet protocol. It can control up to 2 DHSLC lines. Features: Provides conversion from ArtNet data to DHSLC data, enabling the use of standard lighting tools with proprietary self addressing DHSLC protocol.